Mounting attack against the BJP on Rafale deal issue, the Congress on Saturday asked the Centre how the price of the fighter aircraft went up when 'India-specific enhancements' for it were the same as were decided during the UPA rule. Seeking replies from Prime Minister Narendra Modi and Defence Minister Nirmala Sitharaman, Congress spokesperson Randeep Singh Surjewala asked when the 'associated systems and weapons' were the same as approved by the Indian Air Force during UPA regime, then how did the cost per aircraft had gone up now. Accusing the NDA government at the Centre of "compromising national security", the Congress leader asked why did the BJP-led Centre allegedly forego 'transfer of technology' and reduced the number of aircraft under Rafale deal from 126 to 36. "It is now clear that the 'India-specific enhancements' mentioned by Modi and Sitharaman on the floor of Parliament and outside are those which were pre-decided by IAF at the time tender of 126 Rafale fighter aircrafts issued by Congress-led UPA government," Surjewala said. He claimed that air staff qualitative requirements provided for 13 India-specific enhancements during UPA rule, which were radar-enhancements, helmet-mounted display, towed decoy system, low-band jammer, radio altimeter and ability to start and operate from high altitude airfields. "If these specifications had been pre-decided during UPA government and these are the same on which the Modi government is buying Rafale fighter aircraft then why Rs 41,000 crore loss was being caused to public?" Surjewala, who is also an MLA from Kaithal, said. Slamming the Modi government for its claims that there was no contract for transfer of technology under the Rafale deal during the UPA rule, the Congress leader said according to a PIB release, the RFP issued by UPA government completely exposes the "lies" of the prime minister and the defence minister. "It mentions transfer of technology, licensed production, and lifetime maintenance support for the aircraft. This RFP was issued in 2007," he said. "Why did the Modi government forego transfer of technology for manufacture of next generation Rafale fighter aircraft to India through public sector HAL and despite foregoing transfer of technology, how did the cost increase?" he asked. He claimed that the first Rafale fighter jet will be delivered by September 2019 and rest would be delivered by September 2022. "What is more alarming is the fact that these aircraft would not have India-specific enhancements and all these will get uploaded after 2022. With threats from Pakistan and China looming large, does it not compromise national security," Surjewala asked. To a question on whether Congress will review the deal if it comes to power in 2019, he said if this government does not constitute a Joint Parliamentary Committee over the issue, a probe would be initiated. 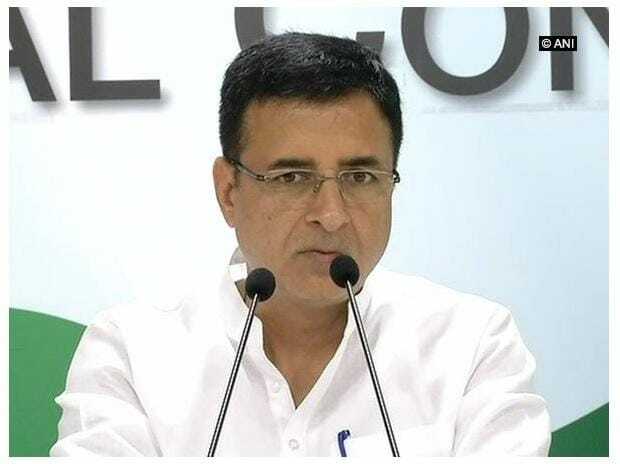 Taking on BJP for mocking Congress president Rahul Gandhi on his pilgrimage to Kailash Mansarovar, Surjewala said those who try to "obstruct" the anybody's pilgrimage, they become the part of "curse and sin".